The attack on Planned Parenthood was probably inevitable after the right saw how well the attack on ACORN was received. ACORN, like Planned Parenthood, was at the top of the right's list of most-hated organizations, though in ACORN's case its chief sin was not helping women control their own bodies but rather helping poor people vote. ACORN was taken off the board by a series of deceptively edited, cunningly marketed hidden-camera videos, shot by right-wing prankster James O'Keefe (with Hannah Giles) and marketed by BigGovernment.com's Andrew Breitbart. 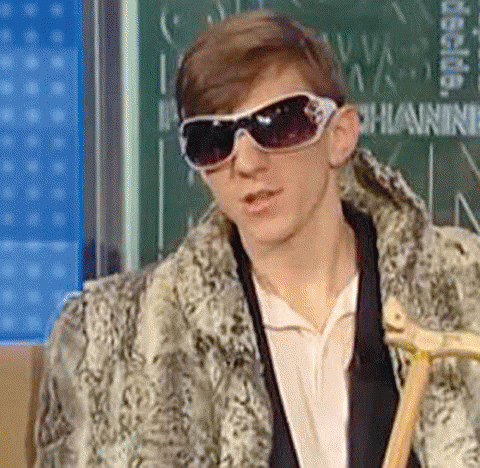 "The undercover videos showed a scantily dressed young woman, Hannah Giles, posing as a prostitute, while a young man, James O'Keefe, played her pimp. They visited ACORN offices in Baltimore, Washington, Brooklyn and San Bernardino, Calif., candidly describing their illicit business and asking the advice of ACORN workers. Among other questions, they asked how to buy a house to use as a brothel employing underage girls from El Salvador... In the footage made public -- initially by a new website, BigGovernment.com -- ACORN employees raised no objections to the criminal plans. Instead, they eagerly counseled the couple on how to hide their activities from the authorities, avoid taxes and make the brothel scheme work." As became clear when the tapes (and accompanying transcripts) were examined by more skeptical eyes, O'Keefe and Giles did not go into ACORN's offices in outlandish costumes. They presented O'Keefe as a concerned boyfriend trying to protect Giles from a fictional abusive pimp. The "advice" they got on how to evade taxes or set up brothels turned out to be the product of selective editing. (See FAIR Action Alert, 3/11/10; Extra!, 4/10.) In one instance, an ACORN employee called police to report the pair's suspicious visit (FAIR Blog, 7/23/10). But rather than criticizing O'Keefe and Breitbart for perpetrating a hoax, leading corporate media outlets suggested apologetically that they should have done more to spotlight the misleading story. New York Times public editor Clark Hoyt (9/27/09) warned that if papers like his miss such stories, they might "wind up looking clueless or, worse, partisan." Centrist media critics endorsed the deceptive project, with the Columbia Journalism Review (9/18/09) pronouncing, "ACORN got caught on candid camera, and they got caught good." The Washington Post's Howard Kurtz (10/7/09) wrote that the videos "proved to be a legitimate story," while Slate media critic Jack Shafer (9/23/09) claimed that even "critics of Breitbart and the filmmakers don't really dispute the basic information unearthed by the videos." "I have to give you credit for this," ABC's George Stephanopoulos told Breitbart (This Week, 6/1/10); "on ACORN, you did expose people doing things they shouldn't do." With encouragement like that -- not to mention that the video attack succeeded in driving ACORN to disband in April 2010 -- it's no wonder that O'Keefe and Breitbart continued to use the same unscrupulous techniques against the right's enemies. 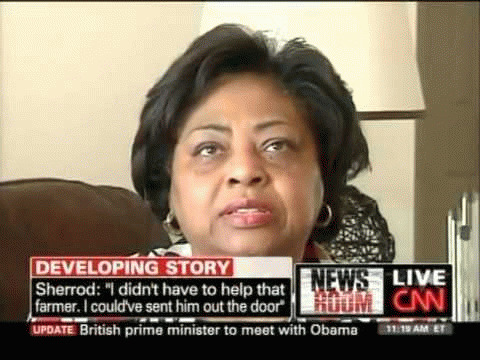 In July 2010, Breitbart released a tape of Agriculture Department official Shirley Sherrod in which she seemed to be boasting that she refused to help a white farmer because of his race. When the full tape of Sherrod's talk came out, it turned out she was actually talking about how she overcame her prejudices to help the farmer and recognize that "there is no difference between us." But by that point, Sherrod had already been forced out of her job (FAIR Blog, 7/21/10). O'Keefe claimed another victim when he forced the resignation of NPR CEO Vivian Schiller after releasing a tape of an NPR fundraiser meeting with a fake Muslim charity (FAIR Blog, 3/11/11, 3/14/11). The tape as edited by O'Keefe appeared to show the fundraiser making light of Sharia law and asserting that the Republican Party had been "hijacked" by the Tea Party -- but an analysis of the full tape found that "several key scenes were edited misleadingly... Several of the most embarrassing moments were cobbled together or left out context" (Time, 3/13/11). "If O'Keefe hadn't posted the source video, it would have invited suspicion. "Instead he posted it and took the chance that most people would watch the edited video (or just clips from it on the news); that reporters, pressed for time with a stack of other assignments, would cover the edited video; that blogs (including, I will admit, this one) would link to those reports; and that by the time anyone took the time to go over the full video, the narrative would be established, the quotes stuck in people's minds and the ideological battle won."